As I was doing my quiet time today, I was journaling and praying and busy telling God about my problems. Then, the Holy Spirit brought this verse to mind. To say I needed to be reminded of this verse, would be an understatement. 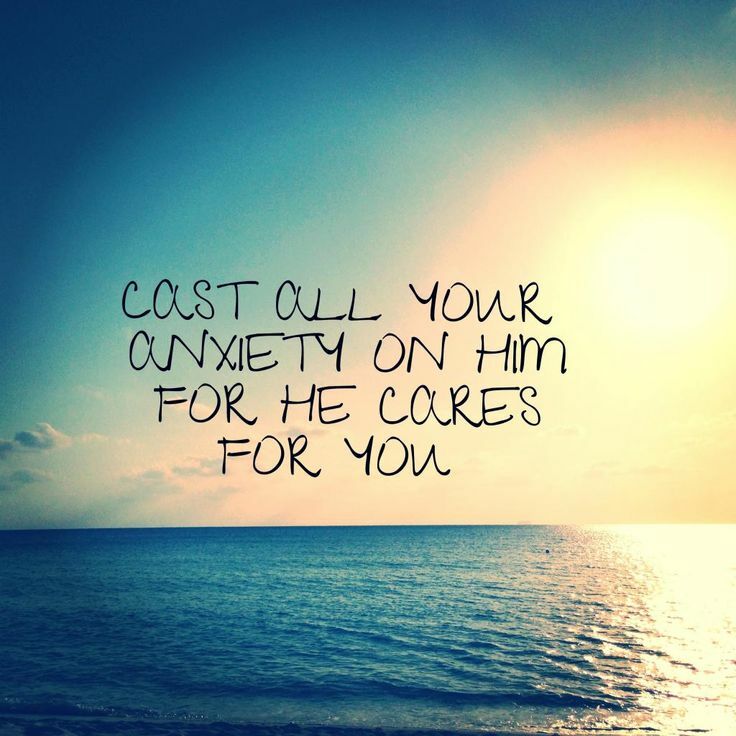 This verse calls us to CAST our cares on Him. I couldn’t help but think of someone casting a net into the ocean. Now granted I’ve never done this before, but from the images and videos I’ve seen, when someone casts a net into the ocean, they throw it into the ocean. That’s what this verse is saying to us- God wants us to throw our cares, anxieties, etc. on Him. When a fisherman casts His net into the water, he trusts that the net will take care of his job for him and be filled with fish. It’s the same way with Jesus. When we cast our cares on Him, we are completely giving them up to Him, trusting Him that He will take care of our troubles (and He will… in His time). So, as I was busy having a pity-party this morning, feeling discouraged, and just telling God my problems instead of trusting Him, He gave me this verse. I spent a few moments making a list of my cares and spent time casting them on the Lord. I pictured throwing each one of these on Him knowing that He will take care of me because, as the last part of the verse says, He cares for me! This wasn’t a one-time fix… I have a feeling that there will be some days that I will have to cast my cares on the Lord over and over again. I am challenging you along with myself to stop just telling God about our problems but to CAST them. Every time you feel discouraged or anxious, picture yourself casting that problem on Christ and completely trust Him with it. Jesus cares for you and He will (in His way and timing) care for your problems.